Please send in your best plans and projects! This is a call for entries for the next book of Landscape Architecture Europe, the triennial publication on contemporary European landscape architecture. Submitted projects must have been designed or completed in the period from 1 January 2011 to 31 December 2013. Individuals may submit a maximum of three projects. Entries must consist of no more than 6 A4 pages of text (in English), drawings, images and photographs. 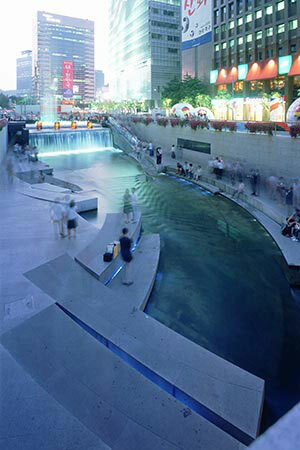 Please submit these by email: entry@landscapearchitectureeurope.com. The entry fee is 50 for the first entry and 40 each for subsequent entries. Each participant will receive one LAE book free of charge. We look forward to receiving your plans, projects, studies and strategies. The EU Member States represented on the LIFE Committee and the European Commission’s LIFE Nature Unit have announced the Best LIFE Nature Projects 2012. The 8 projects selected represent the most successful of the recently completed LIFE Nature projects, in terms of best practices and/or demonstration actions on nature conservation and the implementation of the Habitats and Birds Directives. At the 100-year anniversary of the birth of Mies Van Der Rohe in the mid-80s, there were tons of news stories, books, and conferences about the legacy of that great architect. But Charles Birnbaum, FASLA, head of the Cultural Landscape Foundation (TCLF), said nothing would have been done for famed Modern landscape architect Dan Kiley on his 100th, unless he and his organization had stepped up to honor him. At the opening of a new photography exhibition on the work of Kiley at the Boston Architectural College (BAC), Birnbaum said Kiley was only second to Frederick Law Olmsted in terms of the number of his landscapes that have been added to the national register of historic places. During a session at the 2013 ASLA Annual Meeting in Boston, the three presidents of the major design organizations — American Society of Landscape Architects (ASLA), American Institute of Architects (AIA), and American Planning Association (APA) — made a united call for greater collaboration on designing healthy communities. Working from the understanding that design can encourage active lifestyles and contribute to community health and quality of life, they also spoke of a need for design professionals to become leaders in the push for healthier, and therefore more sustainable communities. Mickey Jacob, president of the AIA, called our time the “collaboration age,” stating it’s critical that all landscape architects, architects, and planners to adapt to change by working together with an eye on advocacy.